The Bay was voted favorite web series of the week. The results are in from the Indie Series Network and Serial Scoop "Web Series of the Week" (#WSOTW) poll for December 12-18, 2015. 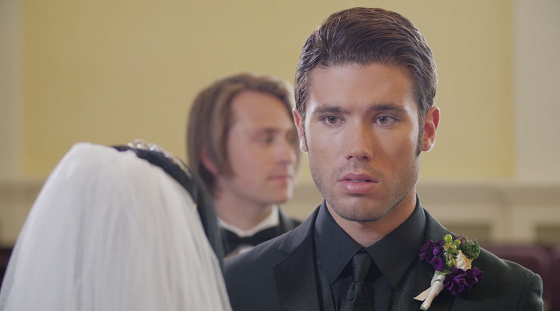 The Bay was voted favorite web series for the third week in a row. The latest from Family Problems came in second, followed by new episodes of Chancers, Year of Spies and Shades of Bad. Lilly Melgar (Janice Ramos in The Bay) was voted Favorite Actress for the week. The Favorite Couple/Duo for the week was Janice & Peter from The Bay. - AFK Episode 8 "IRL"
- Classic Alice Episodes 109 "Pride and Prejudice" & 110 "Confessional: Cara Graves"
- Family Problems Episode 63 "Choices"
- How I Seize It Episode 197 "Brojobs"
- Jill & Jack Episode 22 "Christmas Party Dance Off"
- Labeled Episodes 1 "Welcome Balloons" (series premiere), 2 "Not An Emergency" & 3 "Ava"
- Match Not Found Episode 11 "Single Bell, Single All The Way." - My Lengua Episode 4 "Derecha"
- Out With Dad Season 4 Episode 8 "Counselling Vanessa – Session One"
- Triangle Season 2 Episode 11 "Backstab"
- Tweet Season 2 Episode 8 "Three Walked Into the Cuckoo's Nest"
- Under InspeKtion Episode 13 "Contempt of Court"
- Year of Spies "October - Halloween"
- You Again Episodes 4 "The Big Day, The Bad Day" & 5 "The Good In The Bad"
Submissions are currently open for the 7th Annual Indie Series Awards (#ISA7). 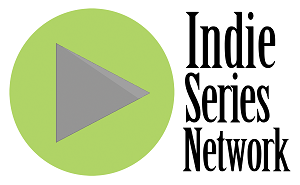 The Indie Series Network is once again the charity sponsor for the annual awards show that honors the best in independently produced scripted entertainment for the Web.